Terminator 2, James Cameron's masterpiece starring Arnold Schwarzenegger in his most iconic role, has been converted in immersive 3D by Cameron himself. First hitting screens in 1991 with groundbreaking special effects, the 4K and 3D version will take the seminal blockbuster to the next level of effects and into the 21st century for the next generation of fans. 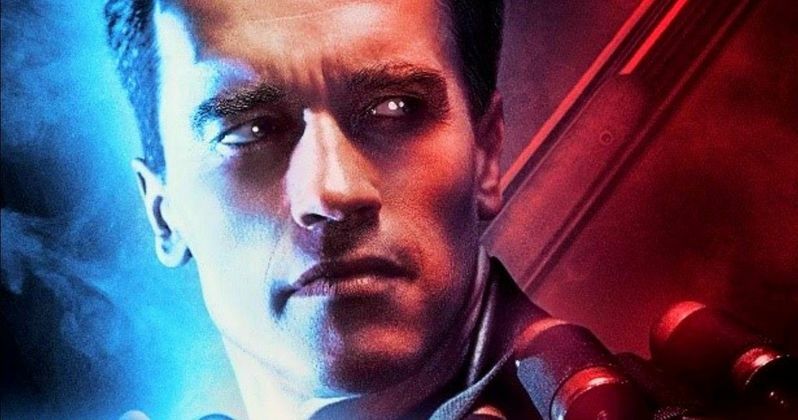 Today, we have the trailer for Terminator 2: Judgment Day in 3D. This 2D sneak peek debuted on Distrib Films US's Youtube Channel. And it revisits some of the most iconic moments from the sequel, which was directed by Terminator franchise creator James Cameron. About the movie's indelible plot, Distrib Films offers this new synopsis. "It has been 10 years since the events of Terminator. Sarah Connor's ordeal is only just beginning as she struggles to protect her son John, the future leader of the human resistance against the machines, from a new Terminator, sent back in time to eliminate John Connor while he's still a child. Sarah and John don't have to face this terrifying threat alone however. The human resistance have managed to send them an ally, a warrior from the future ordered to protect John Connor at any cost. The battle for tomorrow has begun....James Cameron's masterpiece starring Arnold Schwarzenegger in his most iconic role, has been converted in immersive 3D by Cameron himself. First hitting our screens in 1991 with groundbreaking special effects, the 3D version will take the seminal blockbuster to the next level of effects and into the 21st century for the next generation of fans." This rerelease was initiated by Lightstorm, James Cameron's production company, DMG Entertainment and StudioCanal. James Cameron's team oversaw this 3D conversion from start to finish. This highly experienced and award-winning team had already supervised Titanic's 3D conversion and is currently working on the Avatar sequels. The original 35mm negative was scanned and then restored in 4k at Deluxe L.A., under the supervision of Geoff Burdick, Lightstorm. The film was calibrated in 4k by Skip, James Cameron's colorist, at Technicolor Hollywood, with a selection of the best 35mm prints from the film's first release. The film was then converted into 3D by Stereo D (Star Wars, Avengers: Age of Ultron, Jurassic World). This work lasted almost a year and was monitored daily by Lightstorm's teams, to produce a high-end 3D version at the level of the latest 3D releases from U.S. Studios. The 3D version then benefited from a calibration and a specific finish at Technicolor Hollywood, still under the supervision of Skip and James Cameron himself. StudioCanal is Europe's leader in production, right acquisition, distribution and international sales of feature films and TV series. It operates directly in all three major European markets, France, the United Kingdom and Germany, as well as in Australia and New Zealand. StudioCanal is also present in the USA and in China. Now, you can watch the remastered trailer for T2 as we await its return this summer.